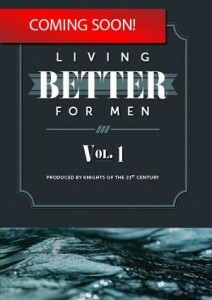 Living Better for Men presents an earthy and practical view of how to practice Godly manhood on a daily basis. This 17-lesson program is designed to help men in churches and prisons be effective participants in each of their relationships as they work, with God’s help, to achieve their God-given callings. Our discussion-based format and diverse presenters provide an example for men to develop strong, supportive relationships with other men. We discuss real life issues that men struggle with, no matter how messy those issues are.